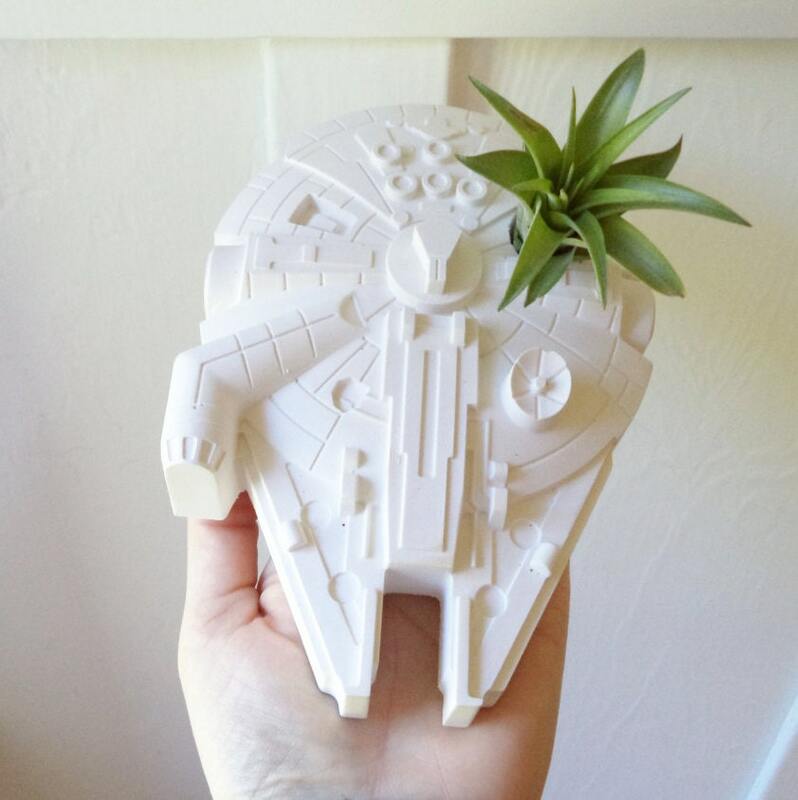 This listing is for 1 large Millennium Falcon air plant holder! Hole for plant will measure 7/8" - designed for air plants. 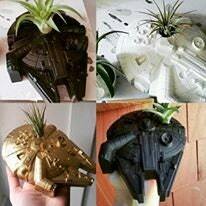 WILL come with an air plant and care instructions! Plant is included, may vary from variety shown. Also super fun as a simple desk or book shelf decoration. The bottom of the ship is flat. 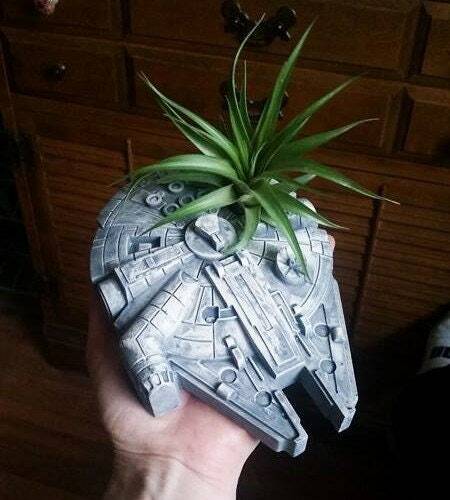 *plant may be of a different variety than the one shown. Super beautiful piece which was an unexpected surprise for the recipient and made him very happy. As a previous buyer wrote, the weight of the piece is great, it feels heavy. I like the color finishing I chose very much. Absolutely amazing! The shop owner communicated a question to me and gave great options to make sure I was happy with my purchase. I cannot believe the quality of this piece! It’s so heavy and the detail is amazing!